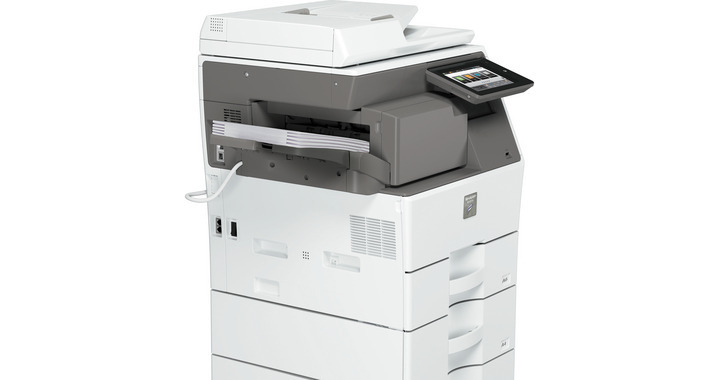 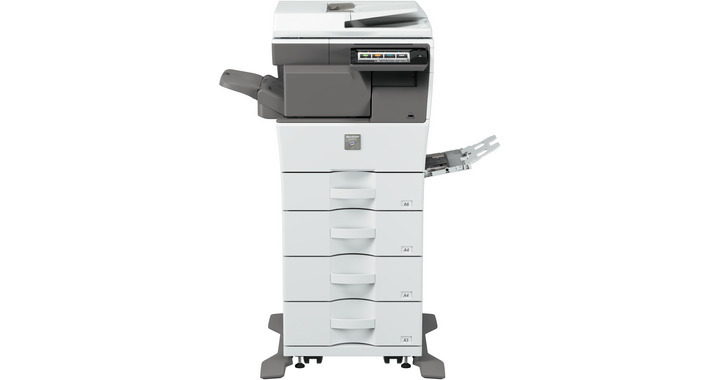 The MX-B355W compact A4 MFP brings you fast, convenient printing, copying and scanning with output speeds of 35ppm in black and white; with all the reliability and capability you expect from a larger device, but small enough to be used wherever you need. 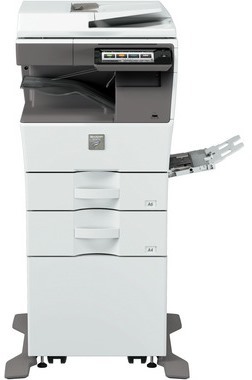 You’re guaranteed an enhanced user experience with the 7.0-inch colour LCD touchscreen, which can be tilted and customised to suit your way of working plus with the space-efficient modular design this MFP will suit any office environment, whether used as a desk top configuration or fully configured floor-standing configuration; and you get both quantity and quality thanks to the standard 550 sheet paper capacity (expandable to 2,350 sheets) and the optimal finishing capabilities for professional documents. 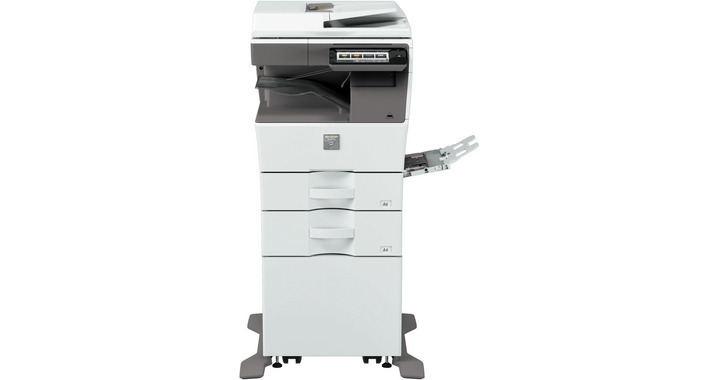 The MX-B355W offers a 50 sheet Reversing Single Pass Feeder and boasts black and white and colour scanning for fast document digitisation, putting you in control of your document workflow. And because we know that not everything you want to scan is a document, you can also quickly and accurately scan ID and business cards with ease. 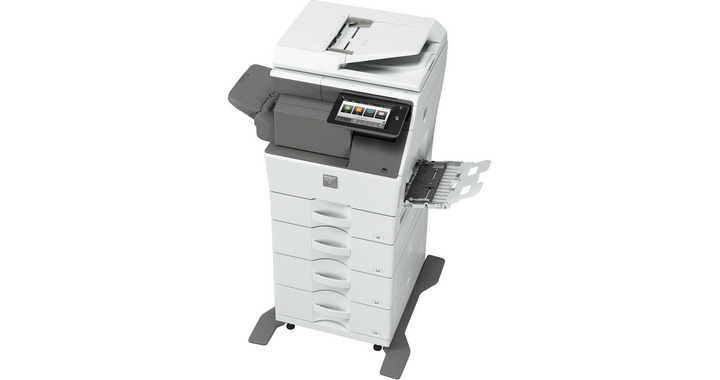 Featuring optional NFC and QR Code capabilities, means you can connect via your mobile device for easy printing and scanning wherever you are and Sharp’s Open Systems Architecture allows you to integrate the MFP with network and cloud-based applications, while single sign-on allows you to access public cloud services directly from the MFP to increase productivity and save time. 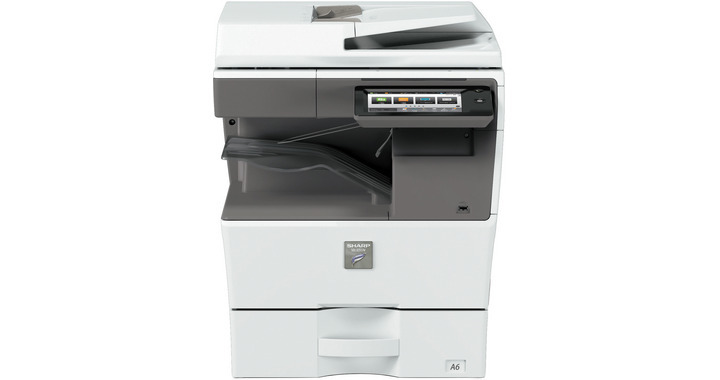 Thanks to the future-proof capabilities of the MX-B355W MFP, all networks and data are protected thanks to the multi-layered security Sharp provides and the server-less print release function allows you to securely send and store documents on the main MFP to print at another time from any networked MFP. 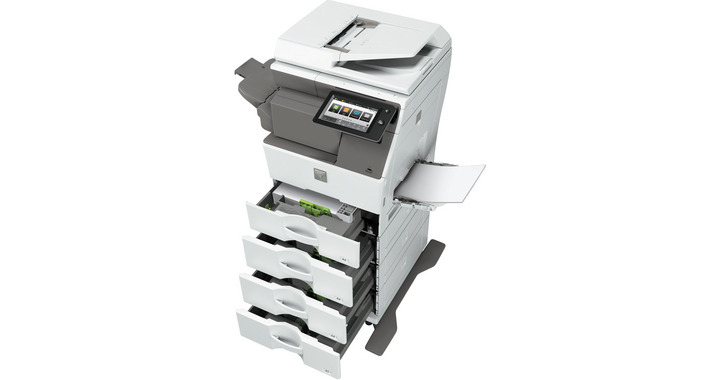 The innovative Eco Scan and Eco Recommendation functions further promote energy saving, giving you total peace of mind that you’re only using power when necessary.